Which Digital Camera and Photographic Gear Should You Take to Antarctica for Extreme Cold Conditions? You'll want to get a record of your probably once in a lifetime trip to Antarctica, it may mean upgrading your current (or absent) camera gear or adding some new items to what you already have, here are some pointers as to what to consider buying. Photographs are made more by the photographer, less by the equipment and once you get to a certain level of ability (lower than you might think) spending more has little effect. It's always nice to have high quality, highly featured equipment - just don't expect it to compensate for pointing it in the wrong place at the wrong time. Don't get obsessed with photographic gear, most of my photographs that I have published on this site (those in the Picture Galleries) were taken using a now obsolete mid-range, completely manual and mechanical 35mm film camera (a Pentax MX) mainly using a standard 50mm lens for scenery and general shots or a 100mm lens for wildlife. Do I need a special camera for cold conditions? 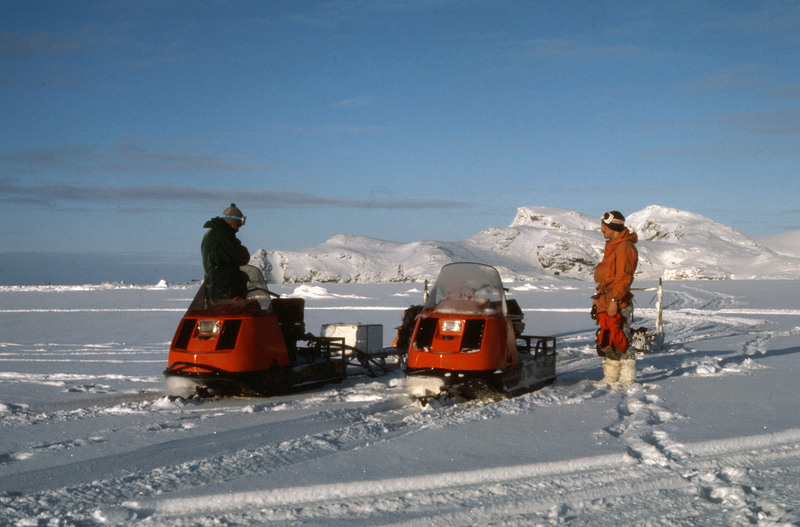 Unless you are going to be working there and overwintering, your trip to Antarctica will be in the summer months when conditions for people and cameras alike aren't so extreme. You can expect the temperature to not fall below -10C (14F) so any modern camera will cope with conditions without requiring any special kind of protection or features. You should treat it as you would any electronic device, such as your phone, protected in a bag when possible, bringing it out when you want to use it. A camera will survive fine most of the time round your neck ready for use in conditions where you would be happy to have your phone out, i.e. as long as it doesn't get wet. So don't carry it out when it's raining or snowing and keep it safe when in the zodiacs as splashing sea-water won't do it any good at all. Returning indoors with cold camera gear - don't take your gear out of its bags or case until it has warmed up. Removing cold gear in a warm room will result in condensation forming on the camera and lens surfaces which could end up on the inside, leave it for an hour or two first. Modern cameras can be divided into two broad categories, those with interchangeable lenses and those without. 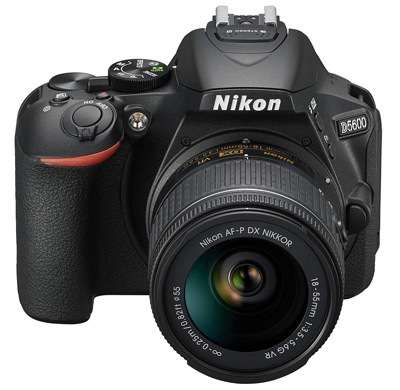 Interchangeable lens cameras are further split into DSLR (Digital Single Lens Reflex) and Mirrorless. Those without the facility to change lenses are often called "point and shoot". This is your first decision. Prices can vary widely in both categories as can the quality of images produced. The best images will generally come from interchangeable lens cameras and the cheapest will be point and shoot, though there is some overlap. The most immediate difference is in size and convenience, if you don't want to carry extra bulk and are just going to be annoyed by the prospect of changing lenses, then point and shoot is the way to go, if you want the best quality images and the greatest degree of control for your money, then you'll want to be able to change lenses, these cameras also usually have larger light sensors which gives better quality images. Mirrorless cameras combine a large sensor with a smaller body size than a DSLR, though this only applies to the body, the lenses they use are often the same size, they also come at something of a price premium compared to "equivalent" DSLR's. 4.9 x 3.9 x 2.8 in. 3.86 x 2.28 x 1.22 in. Sensor size counts more than just raw pixels. Ever since digital cameras were first invented, manufacturers have produced new models with ever increasing pixel counts, though not necessarily with a corresponding increase in picture quality, Shouldn't a 10MP camera be twice as good as 5MP? a 20MP four times as good? Pixel number alone is misleading, it should be considered in conjunction with sensor size as well, as the sensor gets smaller, the pixels are squeezed closer together and quality of image suffers for the same pixel number. 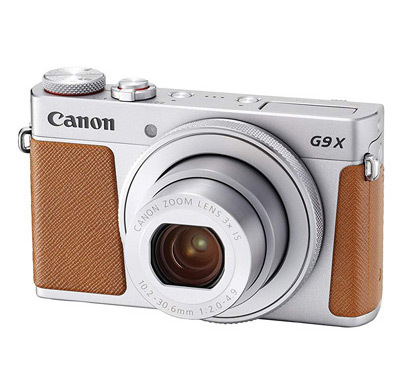 A smaller sensor means that the camera itself can be significantly smaller however. Note the jump in sensor size between the DSLR and Mirrorless models and the point-and-shoot model and the difference in pixel density. This explains why larger cameras deliver better quality results than smaller models with the same number of pixels - Sensors - size matters! p.s. The sensor in your smartphone is tiny by comparison to the sensors on this page. While smartphone cameras may be pretty impressive for what they are, they really aren't anywhere near the quality you get from a digital camera with a large sensor. SLR stands for Single Lens Reflex. It means that you look through the taking lens (it only has one), and so see exactly what the sensor sees. Just before the photograph is taken a small mirror that enables you to see flips up and out of the way so the light falls on the sensor. 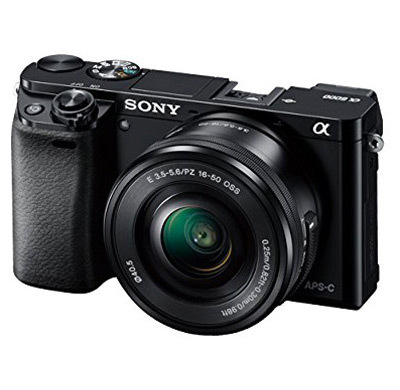 Mirrorless cameras such as the Sony Alpha a6000 above, do not have a mirror to reduce size and weight, view finding is electronic only, via the large sensor and the rear LCD screen, this means they get through batteries at about twice the rate of a DSLR. Large sensor - high quality images. Often have a full range of manual and automatic settings. Fully featured (more so than point and shoot). Faster response times, shutter, focusing etc. Buttons and dials for main functions rather than button accessed menus. Additional lenses add to the expense, size and weight. Possibility of getting dust on the sensor when changing lenses. Small and light, can be slipped into a pocket and carried with little thought. 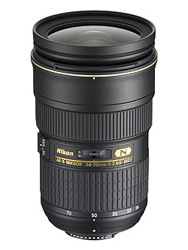 Self-contained often with high ratio zoom lenses. Cheaper, though the top of the range come at a premium price. Simple to use, pick up and use straight away. Smaller sensor - lower quality images. Limited range of features, particularly manual over-ride. A "standard lens" has a focal length of 35mm on most DSLR's, this means that the camera sees as your eye sees with no magnification and no wide-angle effect., anything less than 35mm is wide-angle and any greater is telephoto. What follows refers to DSLR's rather than digital compacts where focal lengths differ due to the smaller sensor sizes. Most cameras come with a "standard" zoom lens, which gives a range of focal lengths from wide angle to short telephoto, 20-55mm ish is typical and makes for a fairly compact lightweight lens to carry around on the camera most of the time. For the majority of shots, you won't need longer than 200mm. There are many zoom lenses that will cover the range from 50-200 and you will probably use them for the vast majority of your telephoto photographs. Something over 200mm is nice to have, but prices can rise dizzyingly and you are now entering the realms of the very serious photography buff or professional (not least because such lenses are heavy and cumbersome to carry around). Likewise wide-angle lenses down to about 20mm are commonplace and affordable, below 20mm prices can increase very quickly. My preference is for two zoom lenses, one of around 20-50mm and one of around 50-200mm, this covers a 10x magnification range. You may find you develop a liking for other lenses as you progress as a photographer, for instance I also have a 55mm macro lens that enables me to take some very close-up shots and doubles up as a portrait lens too, the focal length giving a pleasing perspective while keeping just the right distance from the subject. Wider zoom ranges are available such as 28-300mm, they give the convenience of changing lens less often and nearly always having the one you want at the cost of extra bulk and weight to carry around (twice that of the alternatives or more, and you will always be carrying them), they also come at a higher price. Fixed lenses of a single focal length (also called prime lenses) are lighter in weight than the zoom equivalent, have a larger maximum aperture (they are brighter to look through) and will always be of better quality than a zoom. Lenses longer than 200mm are essential for much wildlife photography - but not in Antarctica, you can get close enough without them. Prior to digital photography, it was the cost of film that limited how many pictures the non-professional photographer could take. One of the biggest changes is that as long as you have enough memory cards, you can keep going all day long and then when you've downloaded the pictures, you're clear to take another load without any extra cost. With the cost of memory cards coming down all the time and now being a small amount of the cost of the camera itself, there's no reason to not have enough memory. 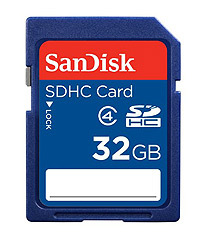 If you have a camera with in the region of 20MP, Start with 2 x 32Gb cards for still pictures, if your camera has a video facility, 2 x 64Gb may be a better starting point. As you use your camera more, you'll get an idea of how many you need, as a rule of thumb I try to always have about 50% more memory capacity for a photographic trip/journey than I think I am likely to get through. 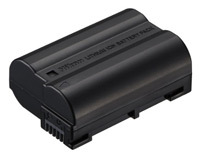 Your camera will probably come with one battery and a charger. The flipside to being able to take almost unlimited pictures is that your camera needs to be constantly fed with power, having a spare battery means that you are able to do this. 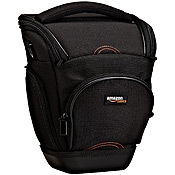 A digital SLR in particular will need it's own case. While it is possible to get a backpack dedicated to camera gear, this will be over the top for most people. My own preference is for a padded case that can be worn around the waist on a belt for quick access without wearing the camera round the neck, more easily accessible than in a back pack and more freedom of movement than a shoulder bag. This case and belt can be put into your backpack along with your other gear for protection and ease of carrying if you know you won't be using it for a while and to protect it when in the boats. You should always have a skylight filter on every lens you have to protect it from damage, a polarizing filter can be useful too to get some good deep blue skies and contrasting clouds. Getting a bit more specialist now. 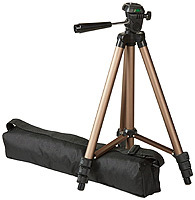 At first sight they may be a pain to carry around, but many of the professional photographs you have ever seen have been taken with the aid of a tripod. I'm not going to suggest you go out to get one and carry it everywhere as even light weight ones can be somewhat cumbersome. In particular, you need to take the time to set it up in order to take a picture rather than just grabbing one that is hand held. On the other hand, when you see the difference to how sharp your pictures are when using a tripod, and no longer have so many slightly blurred ones, you could be a convert. I often carry a monopod with me, which is slimmer, lighter and much quicker to use, though obviously not as stable, where possible I try to brace it against a rock, tree or similar to attain greater stability. If you go for one of the more expensive tripods or monopods, make sure you get a head too as they often come separately as I discovered to my cost once up a mountain when I tried to use my shiny new monopod I'd bought and found there was nothing there to attach my camera to. Quality DSLR - Canon and Nikon have a wide range of cameras and lenses, Pentax have almost as many lenses and some models are weather sealed.